Charlton Athletic Community Trust (CACT) will be part of the biggest round of funding yet from the Mayor of London’s Young Londoners Fund. CACT will be leading on the delivery of the Connect project with its partners the Royal Borough of Greenwich, Peabody and the London Borough of Bexley. The Young Londoners’ grant awarded by Mayor Sadiq Khan is £150k over three years. CACT, RBG and Peabody are supplying match funding which equates to a further £90k. 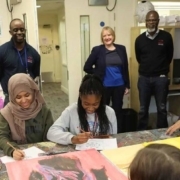 Connect will enhance the existing youth service offer at The Link – run by Peabody – Woolwich Common Youth Hub and Hawksmoor Youth Hub – both run by Young Greenwich, the youth service CACT delivers on behalf of RBG by providing enhanced training to youth workers. This will help youth workers deal with the effects of trauma on young people and identify young people at risk of being drawn into youth violence who require more intensive intervention. The additional delivery strands of Connect will then provide intensive one-on-one mentoring to build resilience and also provide a programme of positive diversionary activity. “CACT is delighted to be asked to deliver the programme alongside key partners. “The Mayor’s Fund will further enhance the support the Council is already giving to a wide range of children and young people’s groups across the Borough. 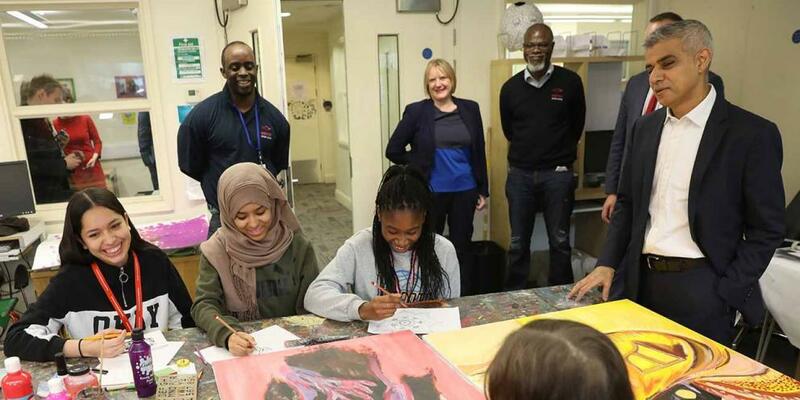 The £45m Young Londoners Fund was created to fund local projects that provide young people with the support they need to fulfil their potential and avoid getting caught up in crime. This funding aims to show young people a positive way forward through a range of education, sport and cultural activities. It is part of the public health approach to fighting violent crime that the Mayor is taking. Connect is one of the first projects to receive the Young Londoners Fund. The projects that have received this funding so far include everything from theatre groups and employability training, to football clubs and art sessions. CACT will be holding a launch event of its refreshed Street Violence Ruins lives strategy in January 2019 and will be inviting key stakeholders in the near future.